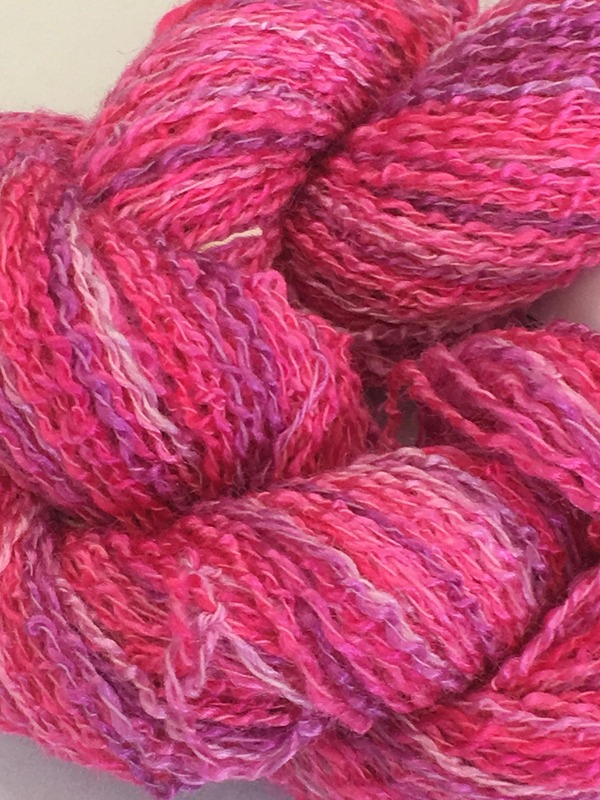 I hand-dyed this 2-ply cotton and rayon boucle yarn in shades of pink and lavender. 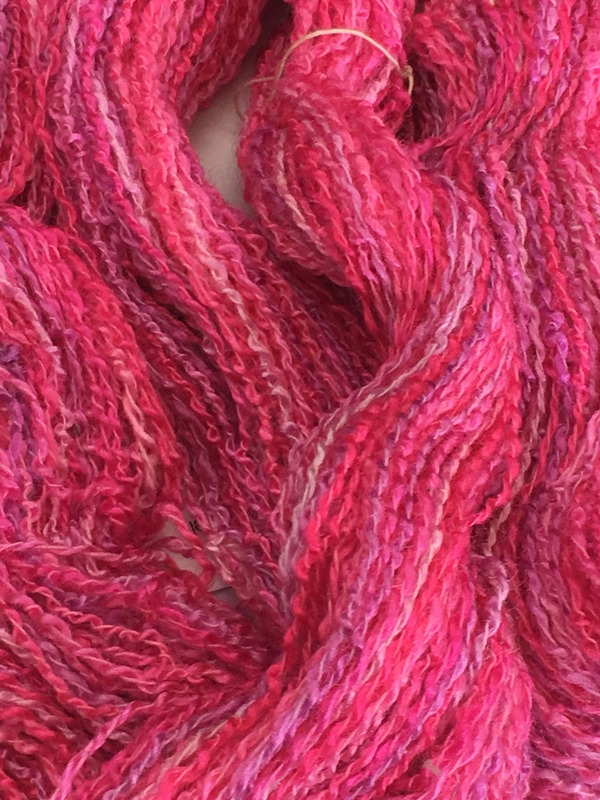 Colors range from pale pink, pink, bright pink, hot pink, light lavender, and lavender. 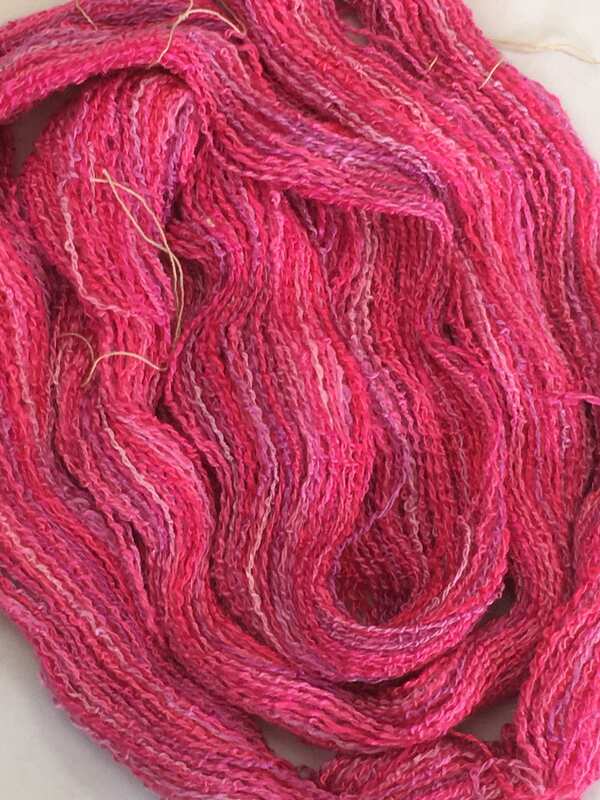 Each skein is 200 yards and weights approximately 1.6 ounces. 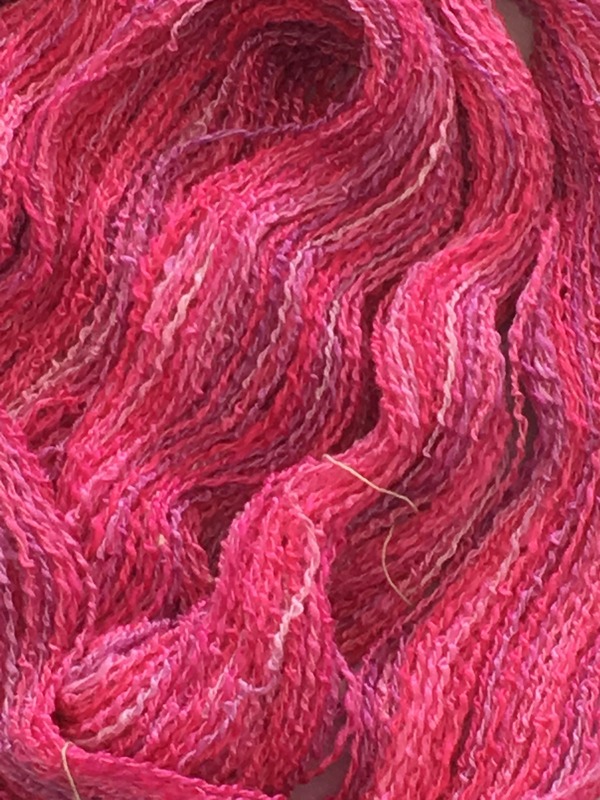 This is a sport weight yarn and it wraps at 17 wraps per inch. 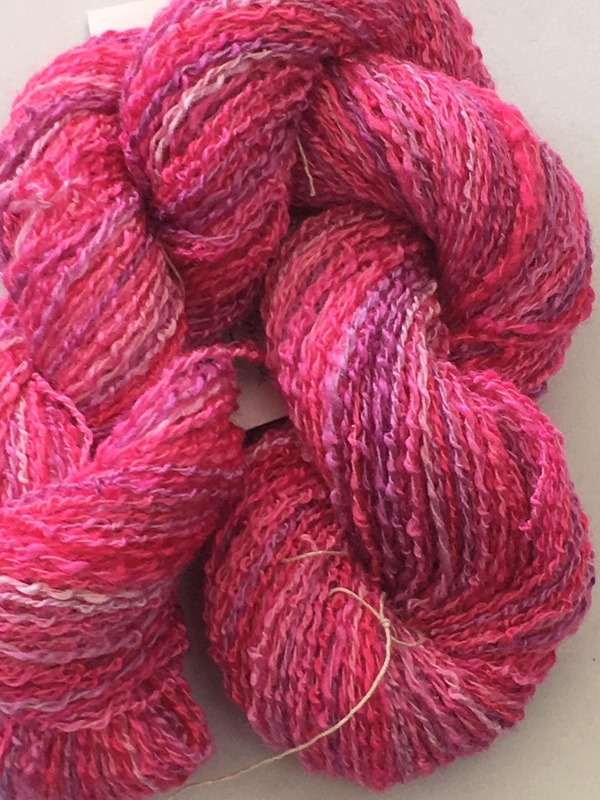 This yarn is also available in a mini-skein of 20 yards. I use color-fast dyes and rinse many times, but since there may still be some excess dye, I recommend using a color-catcher as needed.